A surprisingly spacious clipframe bag made of beautiful leather. This bag can be worn as a shoulder, cross-body or a clutch bag, 25x21cms this perfect kissclip bag can fit all your essentials, from mobile, to keys and make-up. The short strap measures 20cms, long strap 140cms and the frame when open is 10.5x16cms. The lining is black waterproof with a built-in zip pocket. 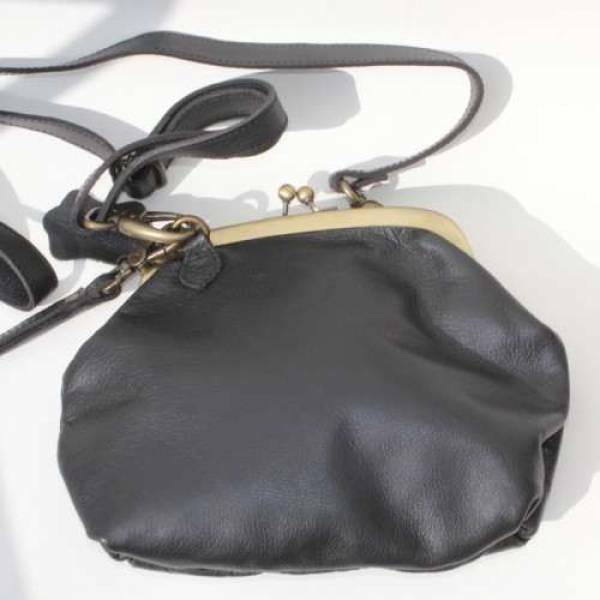 A surprisingly spacious clipframe bag made of beautiful leat..